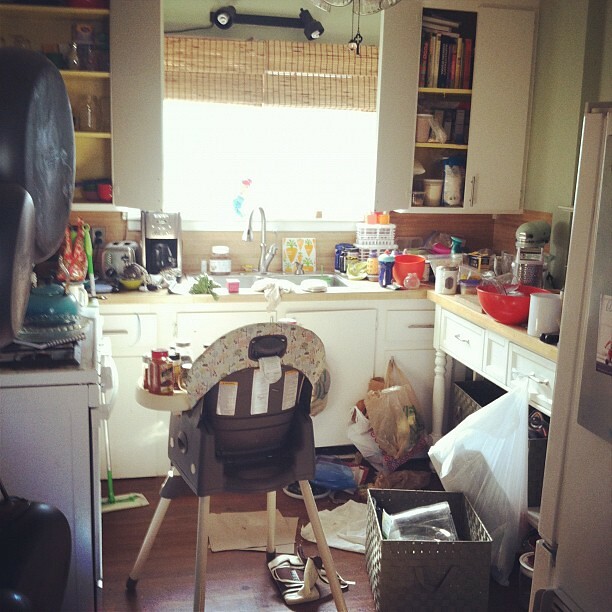 This is what our house looked like over much of the weekend. Now, I know I said it was messy, but I'm sorry to disappoint you. It wasn't THIS bad all along. This is just how it looked while we organized. We pulled everything out of the cupboards. I mean e.v.e.r.y.t.h.i.n.g. I found many bulk mystery flours and other unidentified things. I used to label and date stuff, but lost my way this past year. What I've decided for both a cleaner kitchen and tighter budget is to stop buying exotic ingredients. For example, having bread flour, white flour, and wheat flour is more than enough. We'll see how long this "rule" lasts. I've been known to get far too excited about food, toting home some new and weird thing to cook or bake with, only to leave it unused for years. Waste. What a bad habit! Onto much-needed new shoes . . . It's been a good 7 months since I've bought sneakers, and it was definitely time. Notice anything strange in this photo? Probably not. It's such a minute difference, even I didn't detect anything was off until we got into the car. First: I decided to go with the Nike FREE 4.0s -- a slightly more minimal version than the Nike Run + 3.0s I've been sporting for the past several years. I'll be sure to review them once I get in some miles and see if there's any significant difference. (My prediction? No major change). Anyway, I wear an 8.5. 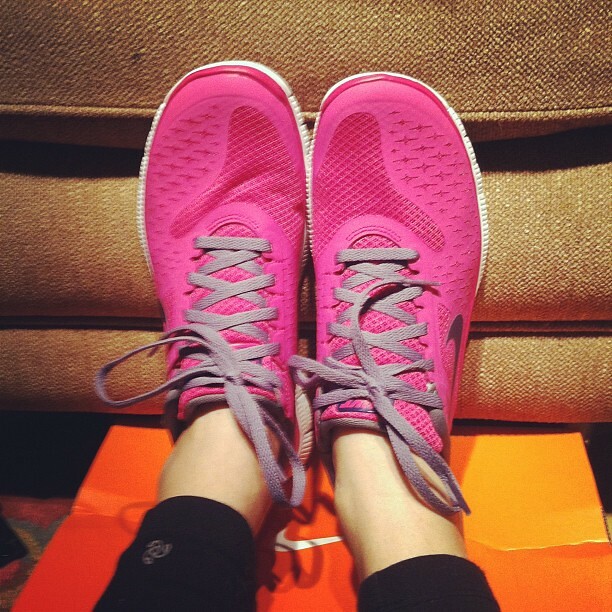 While trying them on, I remember that the right shoe felt slightly snugger than the left. I figured it was because the anti-theft buzzer was on my right foot. 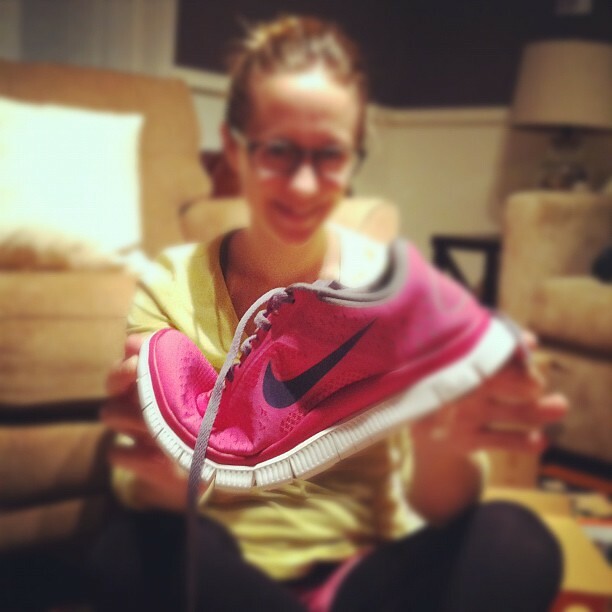 I must have been blinded by my love for the magenta color because I ended up buying two different sizes! I plan to take them back tomorrow and actually buy them again, but online. 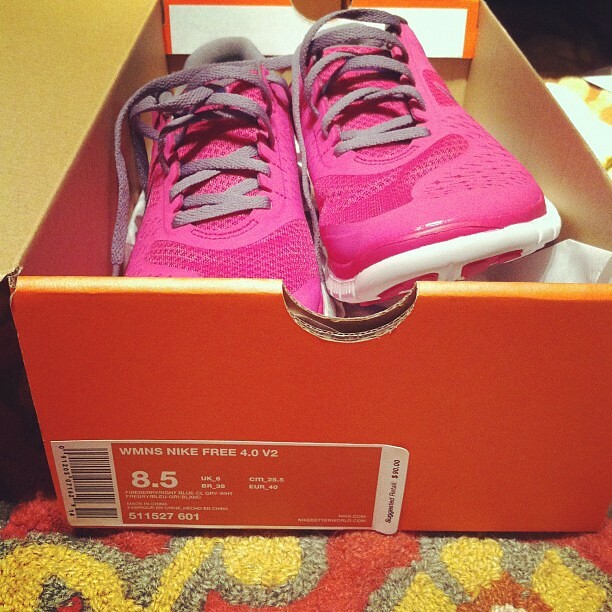 I found a much better deal at Running Warehouse, where membership to our local runners club means an extra 15% off. I don't know why I didn't just do that to begin with! Now onto one of my worst food photos ever. I'll blame it on the iPhone. But really, I can't take a good photo of eggs no matter what camera I'm using. Just don't look at the eggs. 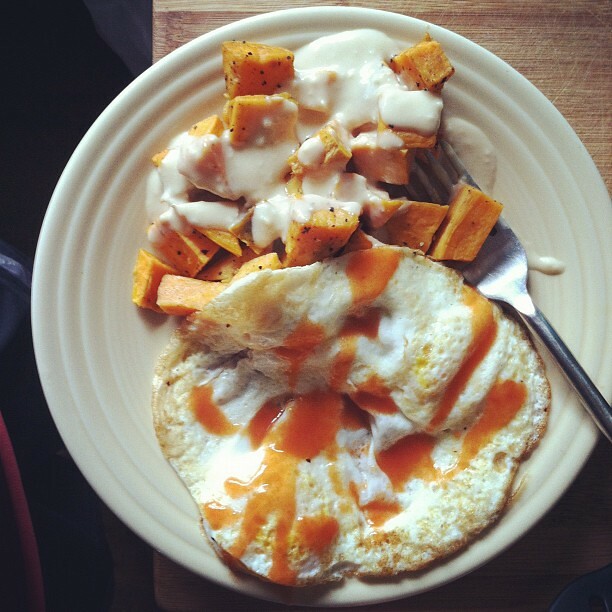 Focus on the sweet potatoes. I made the Miso-Tahini Sauce featured on Emily's blog finally over the weekend. I am hooked. Go make it. NOW! We have a whole jar full of it ready for dribbling and dipping this week. Ada's BIRTHDAY week, by the way. The girl took her first steps yesterday. You can read about them -- as well as the rest of our weekend -- on Writing Chapter Three.